Due to the nature of the comic industry, a pre-order helps to sends a stronger message to a publisher than a simple sale. That’s why if we want to see more diversity in comics it’s important to support books with strong female and minority characters with a pre-order. Since there are so many shakeups happening at Marvel thanks to Marvel NOW! I decided that now is the perfect time to highlight a few Marvel projects that I’m pre-ordering and tell you why you should too. 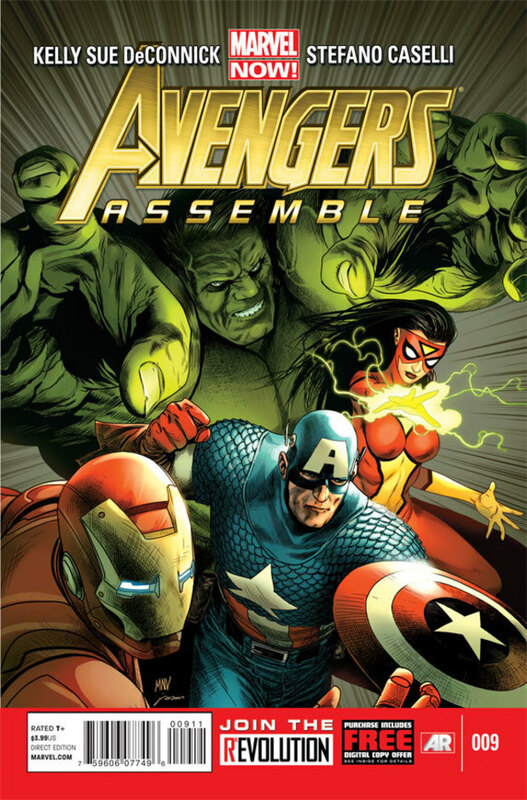 –Avengers Assemble #9 (Marvel) – As of issue #9 (out last week) Captain Marvel scribe Kelly Sue DeConnick has taken over as the writer of Avengers Assemble. The first issue is great. It’s well-written, genuinely funny, and it quintessentially feels like the Avengers. Plus, aside from two issues co-written by Anne Nocenti in 1984, this makes DeConnick the first woman to write an ongoing Avengers book! 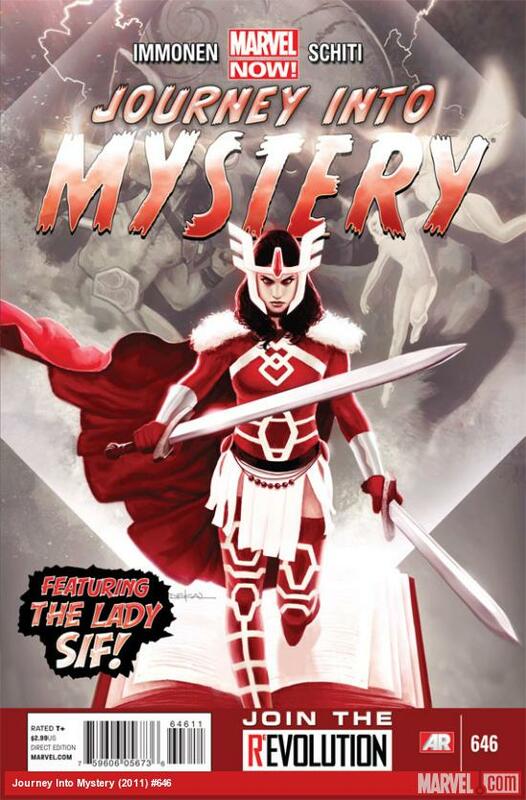 –Journey Into Mystery #646 (Marvel) – As sad as I am to see Kieron Gillen leave this title (and take young Loki with him) I’m really excited to see what Kathryn Immonen (Patsy Walker: Hellcat and Runaways, and X-Men: Pixie Strikes Back) can do with the Lady Sif. I’ve always thought that Sif was underutilized and I’m excited that she’ll finally get her chance to shine. Journey Into Mystery #646 hits shelves today. –The Fearless Defenders (Marvel) – It’s not coming out until February but I’m really looking forward to this all-female team book. All-female casts can be a bit contrived but I think that Cullen Bunn has really created a great excuse to unite some of Marvel’s most badass women; Valkyrie has been tasked by the All-Mother to put together a new group of shield maidens. 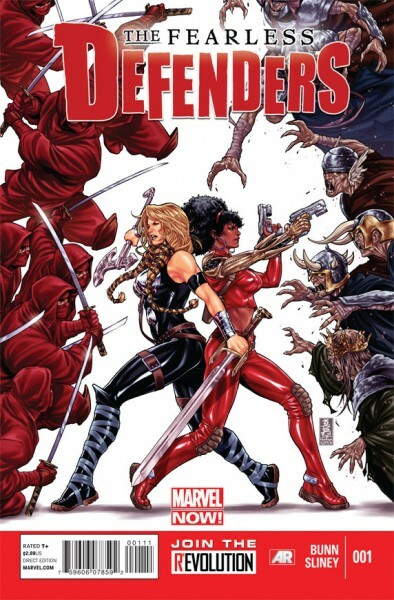 The team’s full rooster hasn’t been released yet but we do know that the book will co-star Valkyrie and Misty Knight. And in a recent interview with Newsarama, Bunn confirmed that Dani Moonstar will be joining the team. That means that of its eight members, the team will feature at least one American Indian and one black superheroine. Not only is this going to be an all-female team but it sounds like it might actually have a shot at showcasing some racial diversity too! Are there any Marvel NOW! titles that you think are doing a good job adding some much needed diversity to the Marvel Universe? If so, share them in the comments!